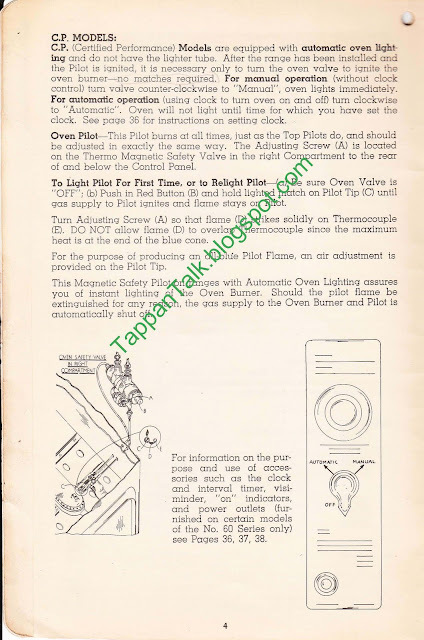 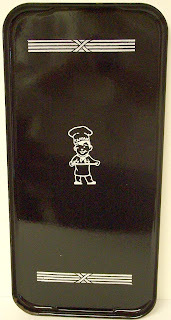 Here is information about lighting the Tappan Deluxe oven pilot flame. Follow the directions for the Series 60 Non-CP or CP models, depending on which you have. 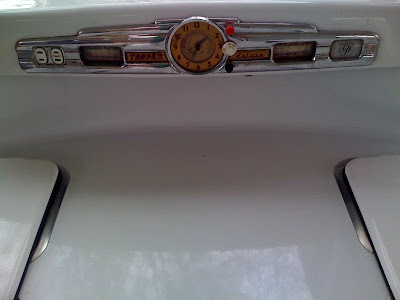 Ignore the "No. 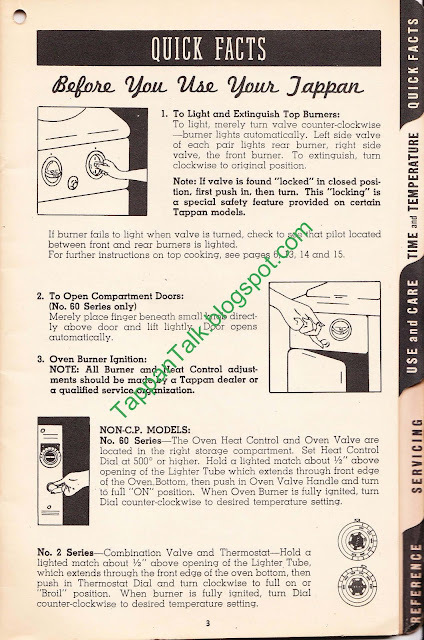 2 Series" information which is for another model of stove. 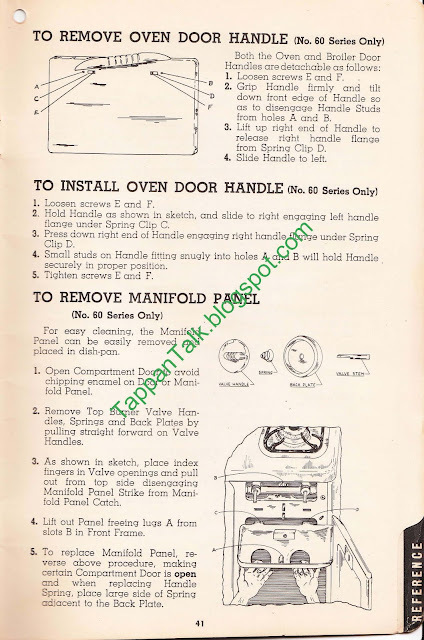 Here's one more page out of a 1940's Philgas Tappan sales manual. 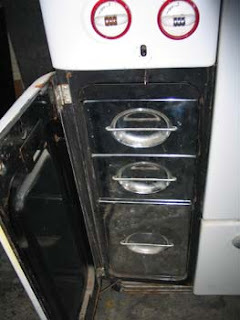 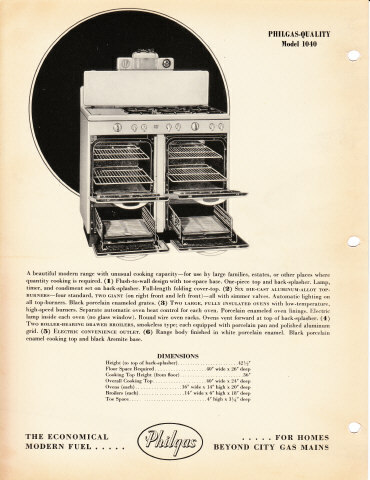 This is double oven, double broiler model 1040 that sold for a whopping $199.50. 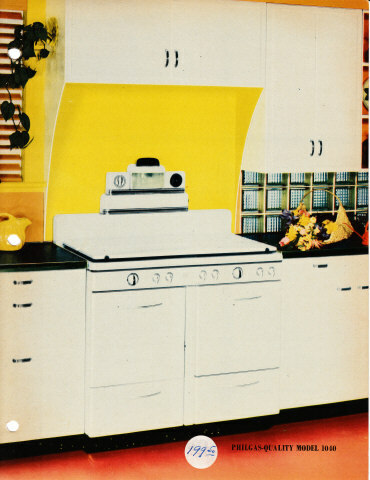 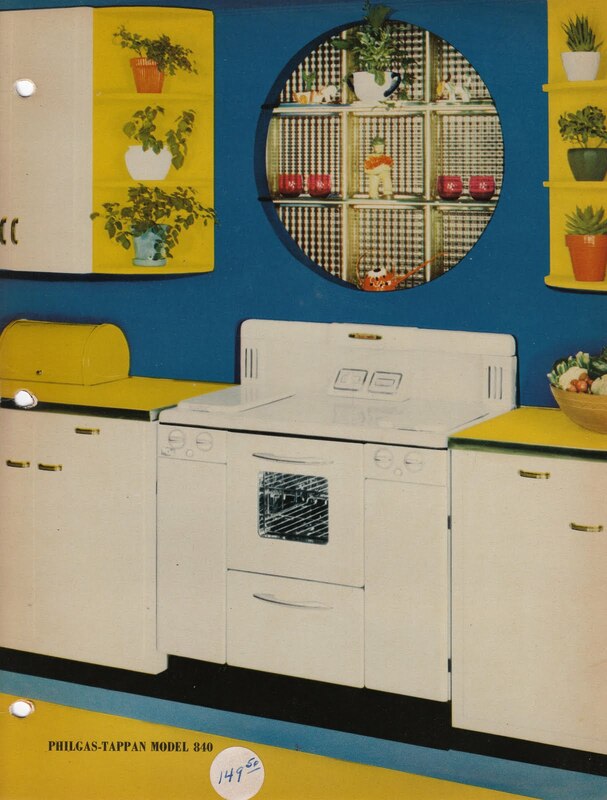 Note the white salt & pepper shakers on top of the back splash. 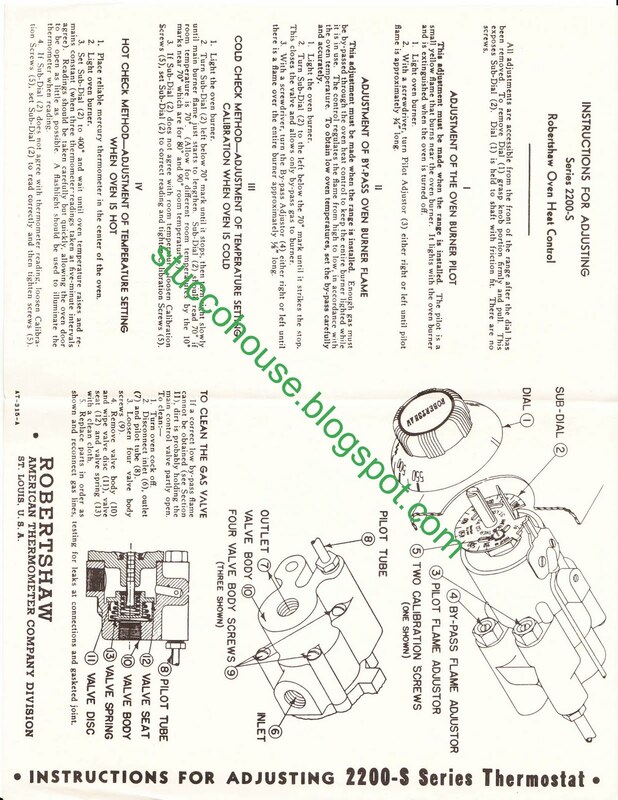 This document provides instructions for adjusting a 2200-S Robert Shaw thermostat. 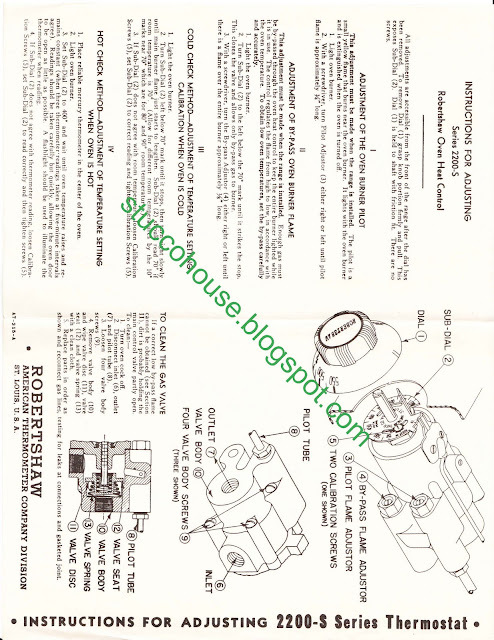 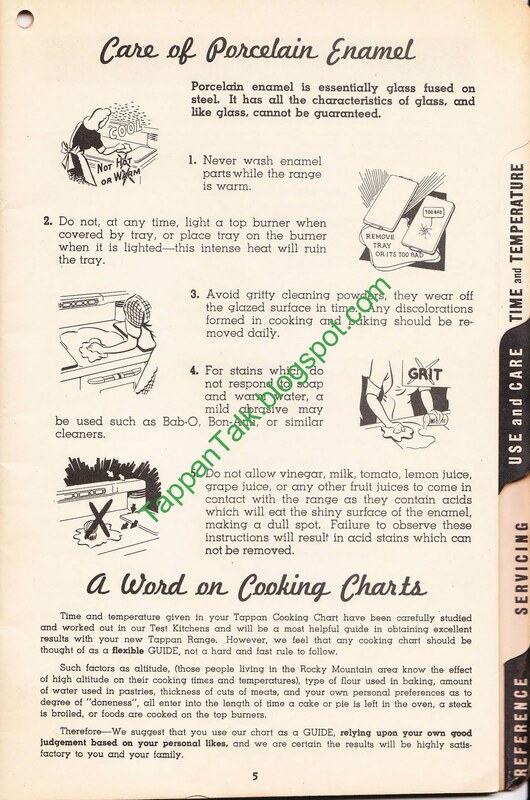 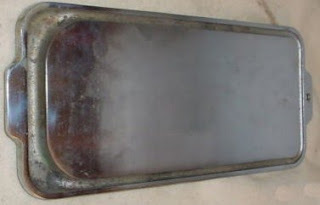 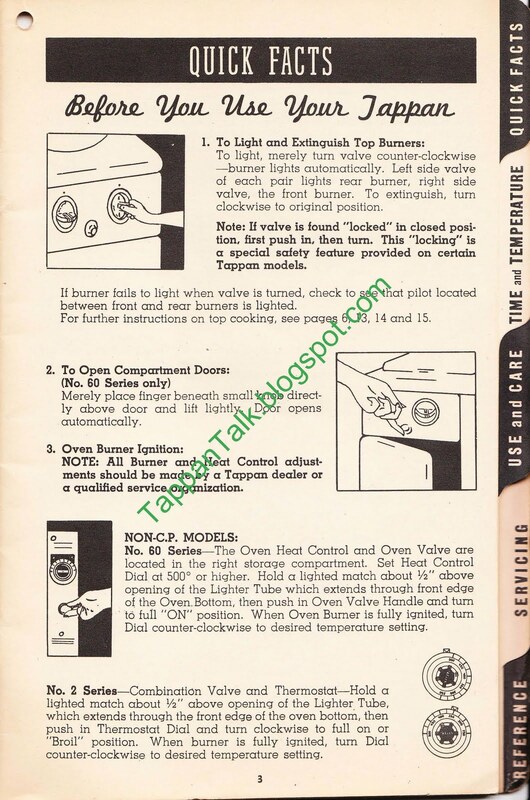 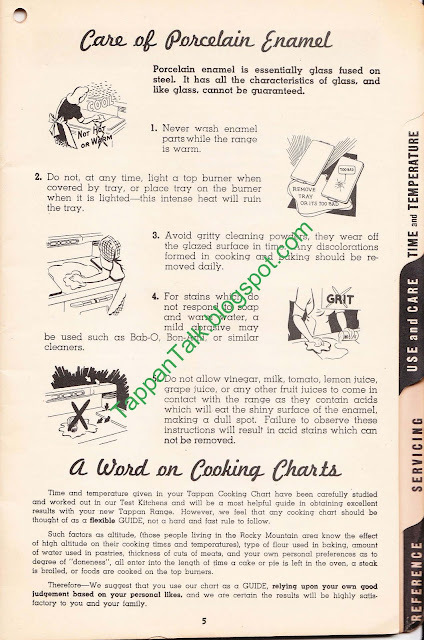 The Robert Shaw thermostat was used very often in the Tappan Deluxe stoves. 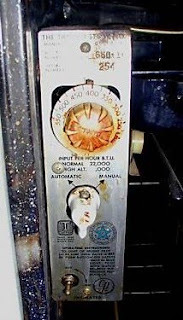 My stove has this thermostat. 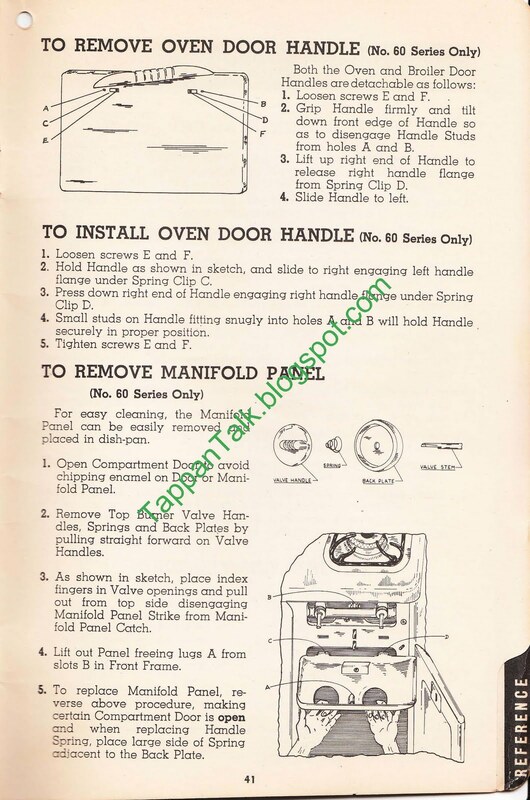 I do not want to hear any stories about people blowing up or burning down their houses, so use these instructions only if you know what you are doing. 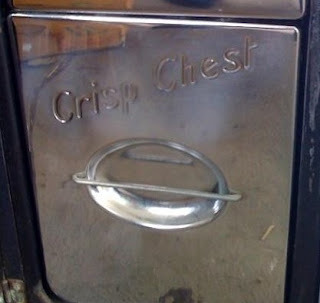 If you don't, pass them on to a professional appliance person. All I ask is that if you use this adjustment guide, you add a comment below....and then report back on how it worked out...and any tips you discover with a comment. 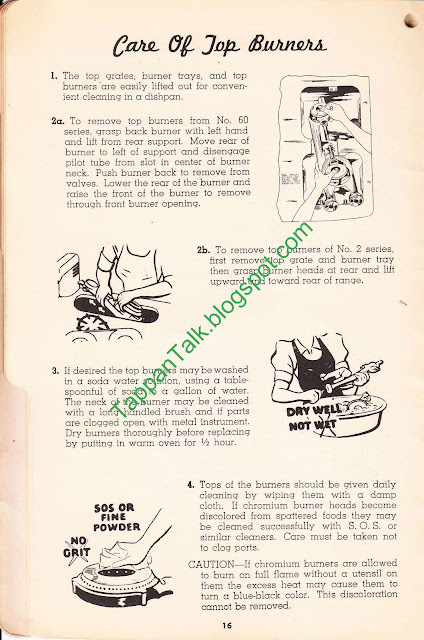 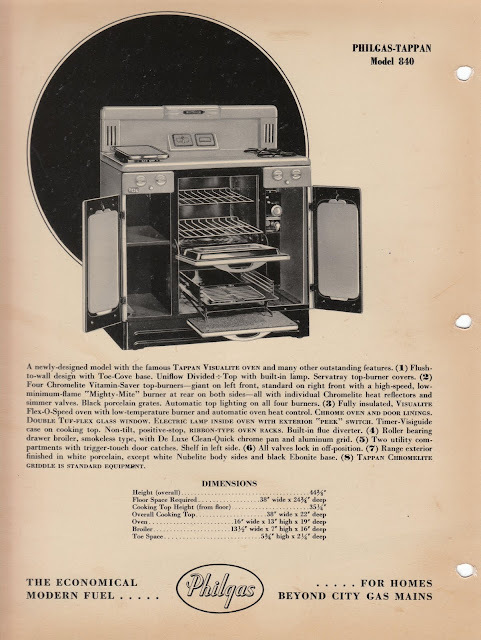 Here's a sales manual picture of a precursor to the Tappan Deluxe. 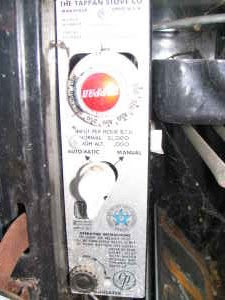 It's a 1940's model 840 that was a collaboration between Philgas and Tappan. 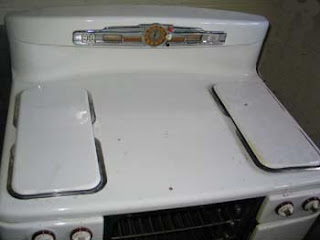 Notice the griddle on top of the left side burners. 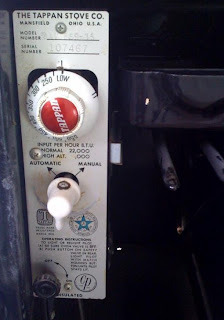 Also, catch the stove price label on the bottom. 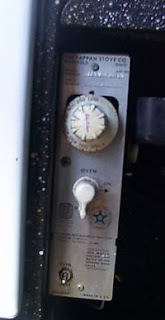 Some close-up shots of how my Robert Shaw 2200 thermostat is hooked up from behind that main control panel. 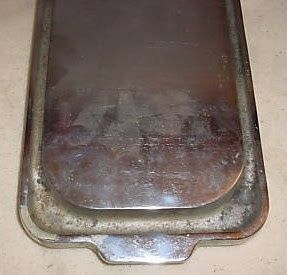 The crispers (if your model has them) are found in the left, side compartment. 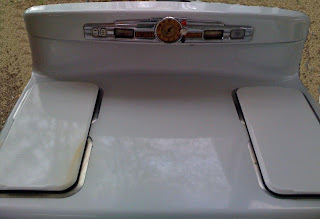 most of the ones I have seen have been shiny chrome, but I have also seen a few models with brushed aluminum. 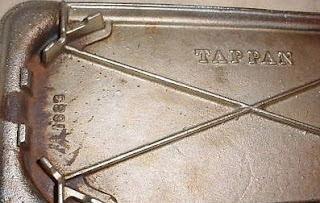 This griddle fits on the burner grates of my Deluxe, but I believe it actually belongs with an earlier 1040's Tappan Model. 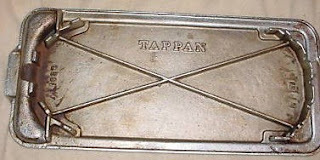 Based on illustrations I have seen, I believe the Tappan Deluxe griddle fit over only one burner. 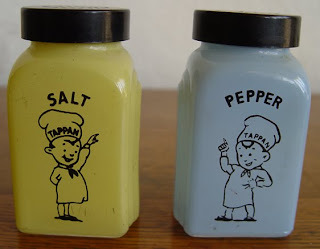 Manufactured by McKee, this style of shakers is called "Roman Arch" named for the arches on the side of the shaker. 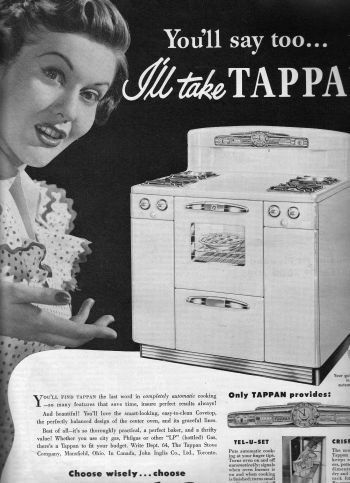 They were sold as "range set" gifts with the purchase of a Tappan stove.